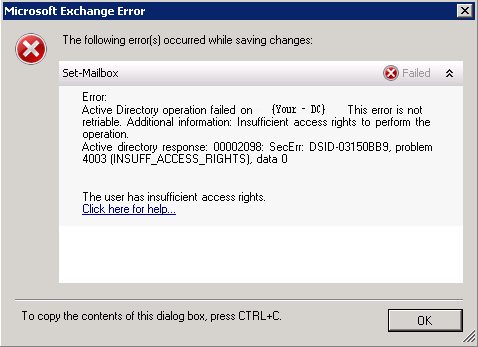 When attempting to move a mailbox (usually during a migration), you see the following error. information: Insufficient access rights to perform the operation. 1. 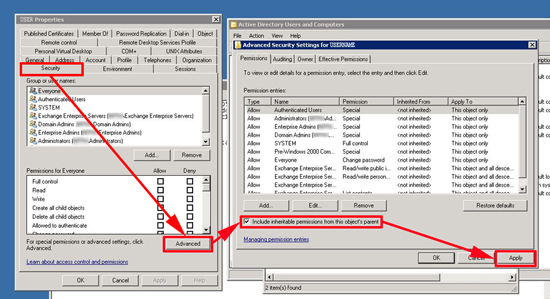 On a domain controller launch “Active directory users and computers” > View > Advanced options. 2. Locate the user with the problem mailbox, right click > properties > Security Tab > Advanced > Tick “Include inheritable permissions from this objects parent” > Apply > OK.
3. Try and move the mailbox again, (in some cases you may need to delete the move request from within Exchange System Manager before it will retry). 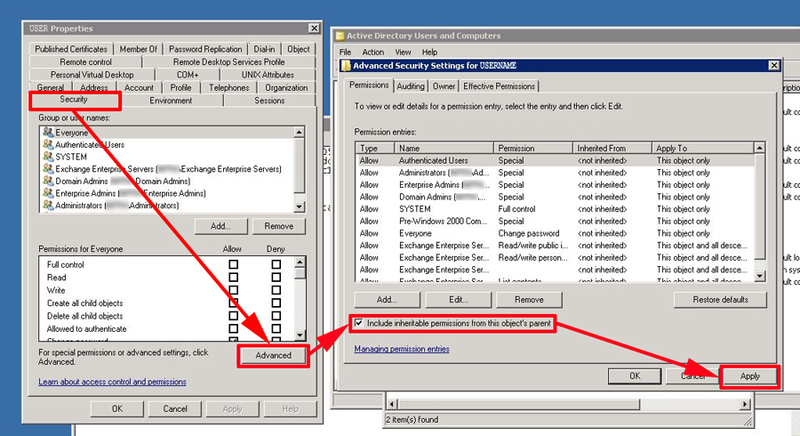 Particularly after a migration this can continue to be a problem, you can stop it on a domain wide basis by doing this.